10 mins Tell the story either from a book or interactively. The Lion Storyteller Bible is great! Talk about ‘stormy’ or difficult times in life. How do they make you feel? Who do you go to for help? Have you ever asked God to help you? What happened? 10 mins Use this Play Dough Mat to explore the story further and/or use this ‘anchor’ craft and prayer activity. Sometimes it’s hard to think of how babies can be included in the themes of a story we’re telling at church. I’ve been finding out something about treasure baskets recently. 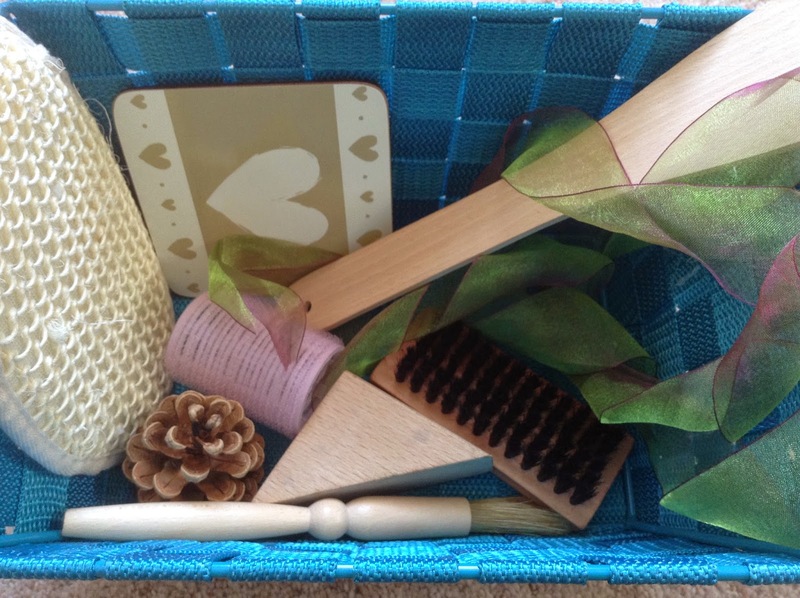 Have a look at this excellent post from Little Acorns to Mighty Oaks that explains so much more about how treasure baskets can be made and used. Play with some water and think about floating and sinking. Jesus won’t let us sink! Talk about times we are worried and how we can ask Jesus to help us. Blow some bubbles and let the children pop them as a sign of Jesus ‘popping’ the worries. 4.Water, coloured with a little bit of blue food colouring (filled to just over half way up the bottle), topped up to the top of the bottle with baby oil. 5. Baby oil, blue and green sequins and blue loom bands. As you can see, the idea was to keep with a blue/green ‘water’ theme. The baby oil and water mix is great as there is a clear separation of the two after the shaken mixture comes to a rest. Baby oil looks like water from the outside, but slightly slows down the sinking of the objects.